Having trouble in cleaning your carpet? Check out the answers to your questions in the FAQ page now. The best answers to FAQ related to carpet cleaning and stain removal. You will find them here below. Have a look. There is no specific carpet cleaning method that can address all kinds of carpet problems. Providers of Carpet Cleaning Burlingame will tell you that different cleaning needs require different solutions. Dry cleaning may be convenient for quick cleaning needs but if you want something more thorough, it would be preferable to have steam carpet cleaning or hot water extraction cleaning. 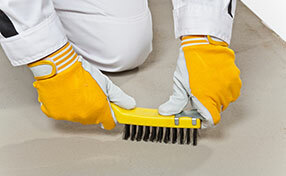 Examine your cleaning needs first before deciding on a particular cleaning method. 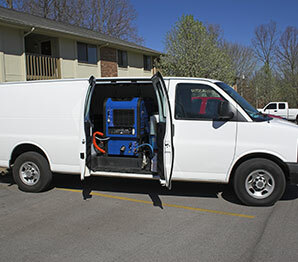 Steam carpet cleaning is a method of cleaning carpets that make use of steam or, more accurately, hot water. Generally, the steam carpet cleaning services offered by most cleaning companies don't actually involve steam but hot water. Through this method, the carpets are exposed to hot water using a special steam cleaning equipment. The hot water breaks down dirt and other unwanted particles on the carpet and is sucked into the carpet cleaner. The hot water used is usually mixed with a cleaning solution. What substances are threats to my carpets? All carpets require good carpet cleaning and good quality detergents. Specialists of Carpet Cleaning Burlingame say that handmade oriental rugs are even more sensitive and rug cleaning procedures must be careful. Carpets would be damaged by chemicals and that's the reason you should use natural and ecofriendly products. Some drinks and foods contain chemicals, too. Keep those and strong motor oils and bleaches away from your carpets. A few drops may ruin them. 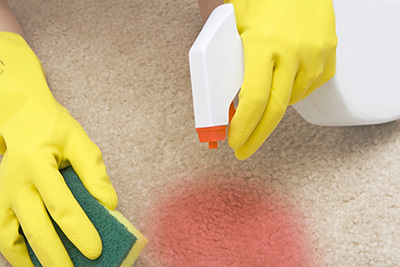 What is the difference between dry and wet carpet cleaning? Wet carpet cleaning or hot water extraction is neither toxic nor harmful, so it is safe for pets and children. This will be instilled in hot water at high pressure with a powerful vacuum that removes the dirt, leaving no residue behind. The dry carpet cleaning utilizes crystals, powders, shampoos and solvents, and is harmful in most cases, leaving residues behind. What do I do when the carpet gets stained? Stained carpets should be cleaned as fast as possible according to our carpet cleaning experts. Once stains dry, they can't be removed easily. If you stain the carpet with dry food, pick it up with a spoon. If you spill liquids, place a towel or absorbent paper on the stain. In either case, use a mixture of water with dish liquid and vinegar to blot the stained area.